Cumbria’s Living Heritage’s ‘stairways to heaven’ can be found at locations across the county, which is now home to the UK’s newest UNESCO World Heritage Site. We have extraordinary staircases or steps ranging from National Trust Sizergh and Levens Hall in the south, to Hutton-in-the-Forest, Carlisle Castle and Dalemain in the north. All have a story to tell and a wow factor attached; seeking them out is all that is required. Hutton-in-the-Forest is a great place to start. Here, the Cupid Staircase is a joy to behold, featuring a magnificent carving of winged boys swinging on acanthus leaves. This echoes a panel from the ‘Playing Boys’ Mortlake tapestries that await viewing by those reaching the stop of the stairs. That is not the only reason to make the ascent. The Cupid Room is considered the finest in the house and is the first of a suite of three rooms designed for Henry Fletcher, back in the 1740s. It takes its name from the delicate rococo ceiling, created in 1745 by Joseph Rose the Elder for the price of just £25. Viewing this masterpiece should be on everyone’s must-do list. Another heritage gem can be found by climbing the stairs at National Trust Sizergh. Although there are quite a few to negotiate before you reach the Elizabethan Inlaid Chamber, seeing one of the finest examples of inlaid panelling ever made for an English country house has to be worth it. Sumptuous light and dark inlays of poplar and bog oak create a shimmering effect in the wood, which features geometrical strapwork and foliated scrolls. You can only speculate at what Walter Strickland, who commissioned this work in the first half of the sixteenth century, must have thought of this craftsmanship, which is accentuated by an elaborate plasterwork ceiling and a frieze reminiscent of Henry VIII’s magnificent Great Watching Chamber at Hampton Court Palace. On the staircase at Dalemain near Penrith, visitors have an unexpected opportunity – spotting the home of Mrs Mouse, tucked into the staircase’s woodwork. They can then keep a keen eye out for Mrs M throughout their journey through the heritage home! At Levens Hall and Gardens near Kendal, the long oak staircase leads to bedrooms that collectively feature Gillows of Lancaster furniture, the Duke of Wellington’s campaign bed and a clasp of interlocking bees which were removed from Napoleon’s coach after the Battle of Waterloo. The link to the Duke is everywhere, as Sir Charles Bagot of Levens married Lady Mary Wellesley, the Duke’s niece. Victorian craftsmanship can be admired on the stairs at Holker Hall, where the oak staircase is built on a cantilever principle and features 100 balusters, each carved in a different design. Climbing the stairs here is a way to reach the bedroom in which Queen Mary stayed in 1937 – a treat for all who appreciate royal connections! Moving from these staircases to heaven, to a quest to find three steps (or sometimes a few more) to heaven, can lead the visitor who loves to discover new gardens and views, to arrive at the door of Brantwood on Coniston Water, or at poet Wordsworth’s former home at Dove Cottage in Grasmere. Sailing to Brantwood on the heritage vessel, Steamboat Gondola, the visitor disembarks at a jetty from which they can look up at John Ruskin’s home in all its glory and then climb a few steps to move from the lower gardens to the terrace. Climbing further brings even more reward, as the mountain gardens that Ruskin created are renowned for peace, tranquillity and spots of heaven on earth. All are well worth the efforts of those who made their discovery on foot. 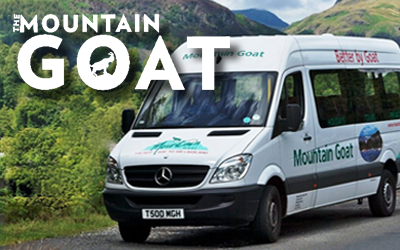 At Dove Cottage, the experience is similar, with step climbers able to walk in the footsteps of William and Dorothy Wordsworth, exploring the platform that the Wordsworths built, so they could enjoy a stunning view over the valley of Grasmere. Nothing could be further removed from this than the experience awaiting those climbing the stairs of the Lakeland Motor Museum in Backbarrow, which delivers wow factor must-sees for any motorcycle fanatic. The Isle of Man TT display includes iconic TT bikes, memorabilia and film footage, whilst this first-floor area also features a Vincent motorcycle collection, sure to thrill anyone who appreciates the marque that is the ‘Rolls Royce’ of the motorcycling world. Members of the motorcycling fraternity can get close to a Black Shadow, Comet, Rapide and Black Lightning, whilst learning more about Philip Conrad Vincent and his unswerving passion for bikes. Other things to discover on the second floor of the museum include vintage scooters and mopeds, bicycles, traditional slot machines, pedal cars and a World War 1 display. But if your buzz comes from art in all its forms, the staircases to heaven for you will be found at Abbot Hall Art Gallery in Kendal and Blackwell – The Arts & Crafts House. Abbot Hall’s first-floor gallery is home to the Elisabeth Frank: Fragility & Power exhibition, running to September 29. This 20th century British sculptor created works that combine the fragile nature of humanity with its power and Abbot Hall will be treating lovers of sculpture to the first large-scale show of work by Frank to be staged in northern England for several years. A display of over 50 of Frank’s works, some never before accessible to the public, allow this exhibition to explore her influence, methods and stories, explaining all in her own words. Ascending the stairs will lead many visitors to their idea of cultural heaven. 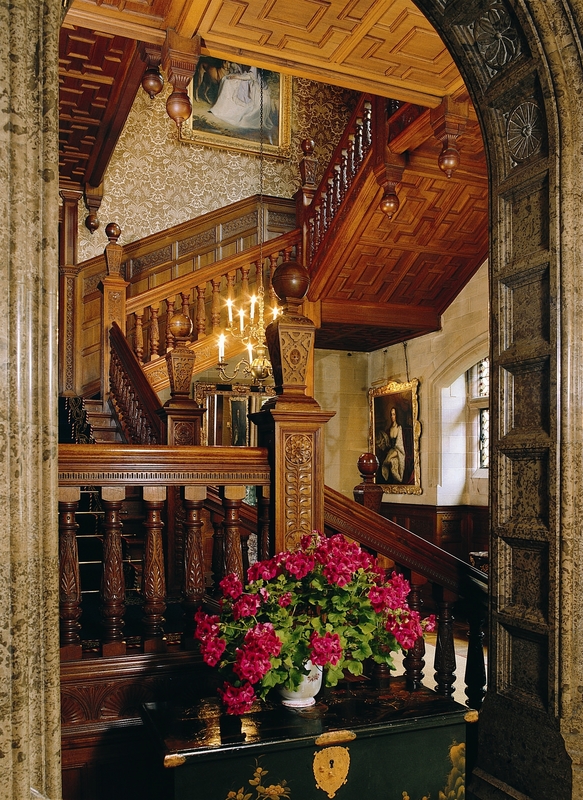 The shallow staircase at Blackwell, on the other hand, leads visitors to the individually designed Arts & Crafts-style bedrooms, with leaf-like door handles inspired by nature and arched, plaster or panelled ceilings, also true to the Arts & Crafts movement. Until September 9, however, the staircase also leads to the ‘Form Over Function – Ceramic Art at Blackwell’ exhibition, which focuses on how art can be created from the craft of working with clay. Whether you are entranced by the playful hippo sculpture, or absorbed by an optical illusion box, there will be something amongst the collection of works, created by some of the world’s greatest ceramic artists, to delight and provoke reflection long after you’ve climbed the stairs. 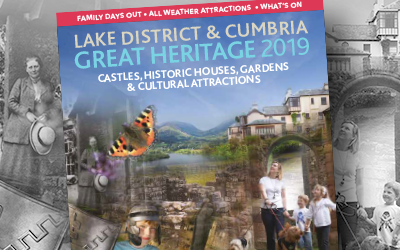 Despite the restrictions heritage homes have when it comes to making some of their amazing features accessible to all, each Cumbria’s Living Heritage member does all it can to ensure those unable to tackle stairs do not miss out. Several other members are one-level attractions. A stairway to heaven can of course be metaphorical, as well as physical, whether you are at ground level admiring sculptures in Grizedale Forest, finding your inner geek whilst taking in the Donald Campbell ‘Bluebird’ displays at the Ruskin Museum in Coniston or the Lakeland Motor Museum in Backbarrow, or being moved by the displays at the Cumbrian Museum of Military Life in Carlisle. Seek them out and you will have memories for a lifetime.